Alexander (Aleksandr) II Nikolaevich (Russian: Александр II Николаевич, Aleksandr II Nikolaevich) (Moscow, 29 April 1818 � 13 March 1881 in St. Petersburg), also known as Alexander the Liberator (Russian: Александр Освободитель, Aleksandr Osvoboditel') was the Emperor of the Russian Empire from 3 March 1855 until his assassination in 1881. He was also the Grand Duke of Finland and the King of Poland. 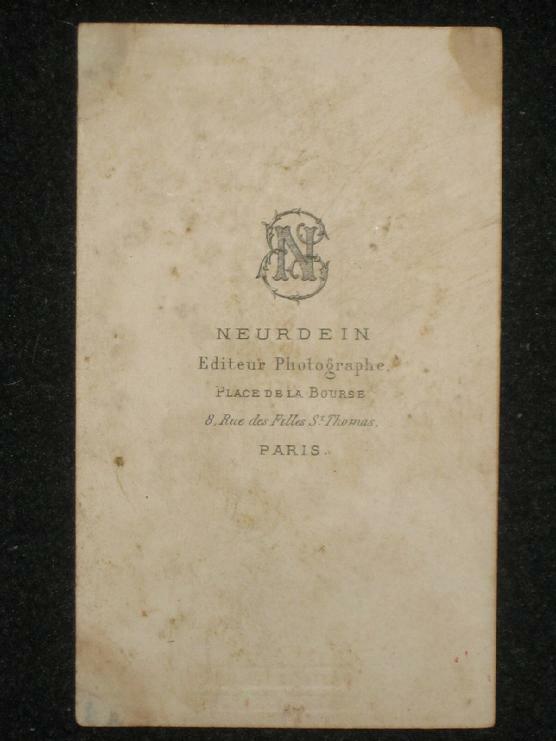 The carte de visite or CDV (also carte-de-visite) was a type of small photograph which was patented in Paris, France by photographer Andr� Adolphe Eug�ne Disd�ri in 1854. 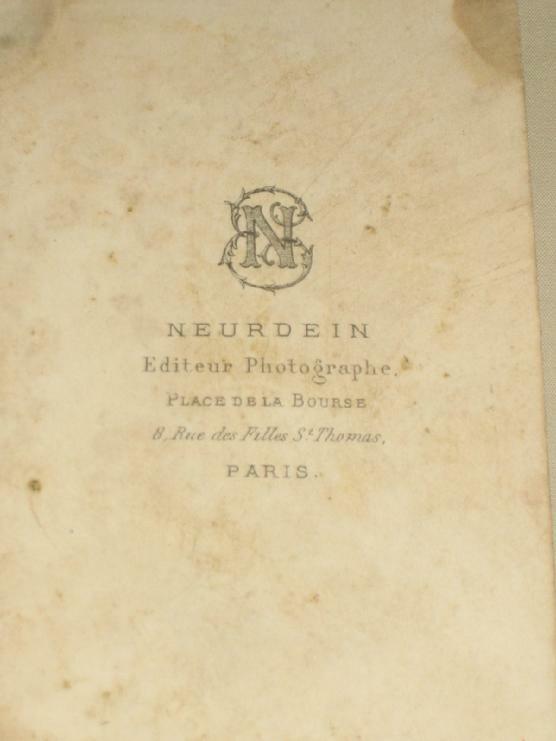 It was usually made of an albumen print, which was a thin paper photograph mounted on a thicker paper card. The size of a carte de visite is 2⅛ � 3� inches mounted on a card sized 2� � 4 inches. It was made popular in 1859 in Europe, and from 1860 in the United States. The new invention was so popular it was known as "cardomania". Each photograph was the size of a visiting card, and such photograph cards became enormously popular and were traded among friends and visitors. 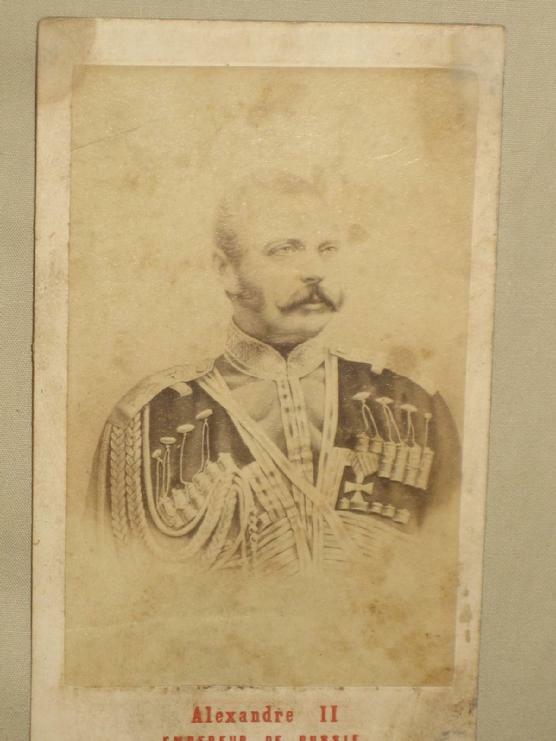 The immense popularity of these card photographs led to the publication and collection of photographs of prominent persons. "Cardomania" spread throughout Europe and then quickly to America. 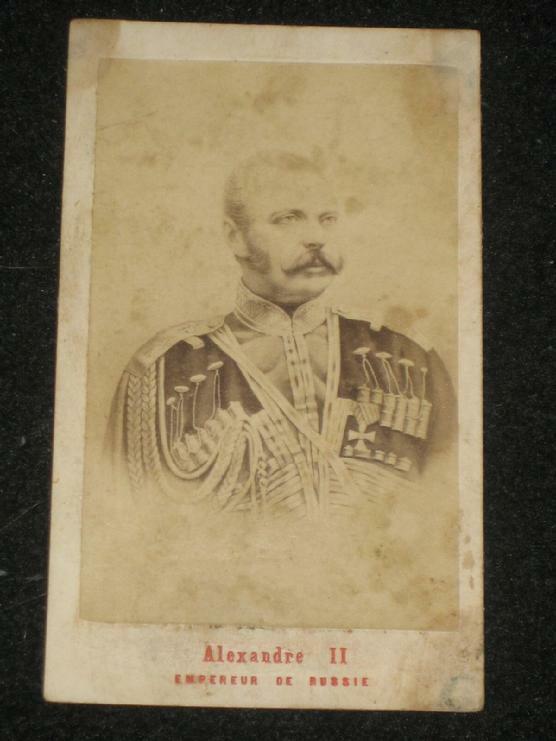 Albums for the collection and display of cards became a common fixture in Victorian parlors. Condition: Good. Original and very rare.